Product ships UPS Ground or UPS Standard (Canada) only ! NO AIR SHIPMENT ! accessories for commercial and residential applications. where other products just won't perform. exchange around windows, doors, wall intrusions and at sill plates. sound, flotation and thermal insulation. - 1/2" Bead runs 900 lin. ft.
D.I.Y. - 6500 - Fast Cure QuickFix 6500 Concrete Repair Kit - For "10 Minute" Repairs - by SealBoss (Flexible and High Strength Polyurea available) Call For Details. 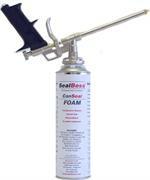 Canseal Foam Gun - Applicator Only! 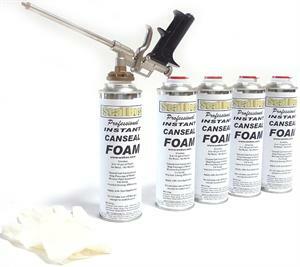 Canseal Foam Gun - Applicator Gun Only!